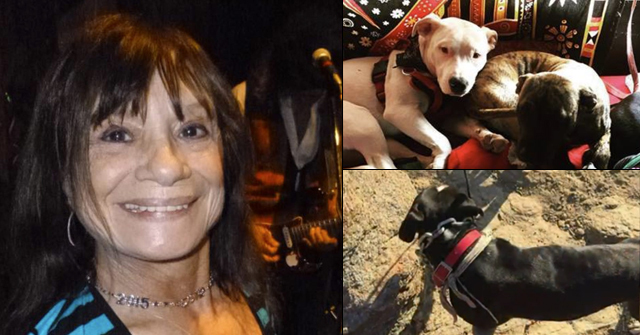 DogsBite.org - The new year of 2013 is upon us after completing one of the deadliest years in fatal dog maulings ever recorded in the United States. Dogs brutally killed at least 38 people last year; half of them (19) were children ages 8 and younger. 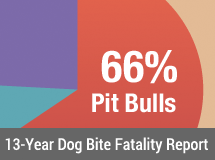 Over 60% of all dog bite-related fatalities in 2012 involved a pit bull. On this weary, though predictable note, we created a collection of New Year's wishes for 2013. Readers can leave additional wishes in the comment section. That in 2013, each of last year's pit bull attack victims and their families are not forgotten by their local and state government officials and that in 2013, these same officials acknowledge the collective past 150-years of innocent Americans who suffered unspeakable injuries and deaths by this "fight to the death" dog breed. That in 2013, the Centers for Disease Control and Prevention (CDC), who last recorded deaths by dog breeds in 1998, concedes that the recent 6-year period (2006 through 2011) shows a 606% increase in deaths by pit bulls in comparison to the last 6-years of their study (1993 through 1998), 113 vs. 16 respectively. That in 2013, the CDC and lawmakers concede that the total population of pit bulls continues to expand since 1998, whereby resulting in a sizeable acceleration of human deaths by this dog breed. 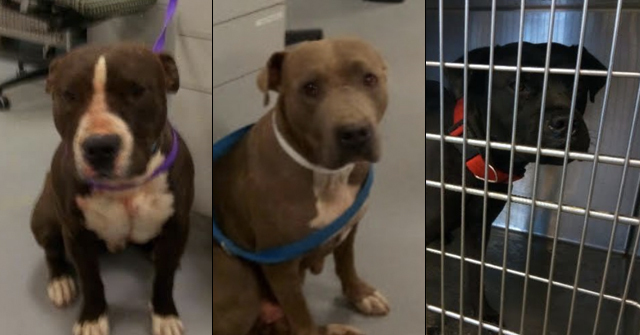 The acceleration of these deaths will continue "with certainty" unless measures are taken to reduce the breed's population. That in 2013, the public will firmly place the health and safety of our children and grandparents -- the two age groups most victimized in horrific dog attacks -- above the rights of owners of dangerous dog breeds, mainly pit bulls and rottweilers, each with a well-documented history of maiming and killing disproportionately. That in 2013, more public and private organizations and state and local government agencies invested in protecting human lives will become more fully informed about the real and present danger posed by pit bulls in American society and will take positive steps to take formal positions in favor of legal restrictions against pit bulls. That in 2013, no innocent owner of a domesticated companion animal or livestock will have to witness, experience, or have to respond to a pit bull attack upon their animal, suffering either their death, their significant injury, the necessity for emergency veterinarian services and expenses, or the trauma of such an event. That in 2013, parents, community and neighborhood activists, lawmakers, animal control departments, humane shelter workers and the owners of companion animals recognize that there is no suitable neighborhood anywhere in the United States to place a "rehabilitated" or "rescued" dog-aggressive pit bull. That in 2013, the public sees that in response to Tracey v. Solesky, the two largest animal welfare groups, American Society for the Prevention of Cruelty to Animals and Humane Society of the United States, are lobbying hard to undo the Court's decision by creating false "disaster scenarios" and distorting the ruling. That in 2013, lawmakers prioritize the safety of their constituents over animal welfare lobbying groups with an agenda solely for animals. In 2012, the Ohio legislature allowed Best Friends Animal Society to write new state law that repealed the state's pit bull law. 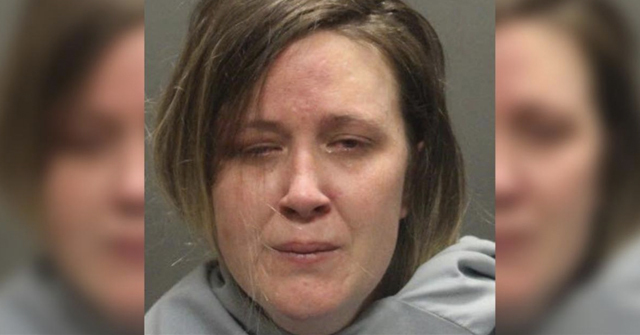 Three human deaths by pit bull-type dogs followed. That in 2013, municipalities in 47 states across America follow the lead of the non-nonsense Midwestern municipalities in Iowa, Kansas and Missouri, which have enacted one-third of all municipal pit bull laws in the United States in order to prevent human injuries and deaths. Go Iowa, Kansas and Missouri! That in 2013, lawmakers recognize that when given the opportunity to voice an opinion, voters want pit bulls regulated. In August, Miami-Dade voters went to the polls and upheld their 23-year old pit bull ban with a 63% vote, despite robust opposition from animal groups, The Miami Herald and (now traded) Mark Buehrle. That in 2013, no San Diego County official or resident forgets that during an 11-month period, December 2011 through November 2012, pit bull-type dogs mauled to death four San Diego County residents, marking this county as the bloodiest and deadliest U.S. county in modern times for occurrences of fatal dog maulings. And finally, that in 2013, the American public sees through the immense propaganda perpetuated by animal groups and "breed enthusiasts" (via photos, videos and false myths) that lull the public into behaving in an unsafe manner around these dogs. Quite literally, Tyzhel's mother believed the pit bull was a Nanny dog. @ That in 2013, lawmakers prioritize the safety of their constituents over animal welfare lobbying groups with an agenda solely for animals. These animal 'welfare' organizations and lobbies don't have an agenda solely for animals. They have an agenda SOLELY FOR PIT BULLS. They don't care a damn about all the animals pit bulls are savaging. So my hope for 2013 is that all these SO-CALLED animal and 'humane' organizations start doing what's best for animals — namely calling for bans on all pit bull type dogs and working to have these pit bull type dogs die out quickly. My hope for 2013 is that the successes of 2012 – and there were many – snowball into an exponentially larger group of people who recognize and call out pit bulls and their owners for the threat that they are. It is my hope, that in 2013, the organizations that have been advocating for pit bulls and other dangerous dogs see substantial decreases in their donations. It is my prayer that Dogsbite.org continues it's great work. That donations continue to support this work. That innocent people and animals are spared. That maulings from a bad dog never happens again.